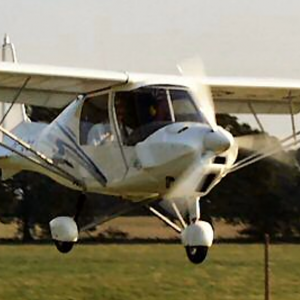 G.S Aviation use the Ikarus C42 as their primary training aircraft. 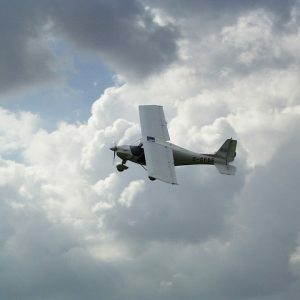 This aircraft type has been chosen as it is a high wing aircraft and the cockpit has easy access for students. It has forgiving handling characteristics, ideal for the low hours pilot, along with a comfortable cabin including heating. The gas shock absorbers make for a strong durable undercarriage and, with disc brakes and flaps, the short field capability is second to none. A comfortable and economic cruise of 70 knots (80mph) allows both students and qualified pilots to go places at a fuel burn of under 12 litres an hour on the Rotax 912 80hp engine. Available for pupils training on an hourly basis with one of our four full time Instructors and also for shared ownership. This weekend flying course is designed to get you to grips with the initial upper air work flying and to enhance your ability at the ab-initio stage. This 5 hour flying course starts at 10 am on a Saturday morning (or by arrangement) and works on a one to one basis on one of our C42 aircraft. You will expect to fly 2 to 3 hours on the first day, this will include a full flight brief on each of the exercises from Exercise 1 to 6. Sunday will see you moving on to exercises 7 and 8 climbing and descending, and 9a and b level turns and climbing and descending turns. By the end of the weekend you will be able to fly the aircraft unaided but under the supervision of one of our four Instructors through all of the upper air exercises and this will be the first major step towards your licence. 10 hours flying, plus briefings, encompassing exercises 1 to 11 in the BMAA training syllabus. i.e. 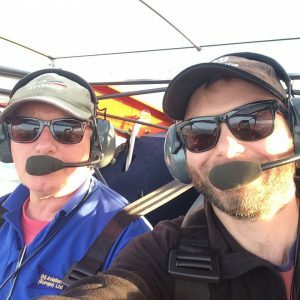 all the upper airwork and an introduction to take off and landings. This course is designed to kick start your flying career and will take you through straight and level, climbing and descending, level turns, climbing and descending turns, slow flight and stalls safely and accurately. The course runs from Monday to Friday (or by arrangement) and you will be in the safe hands of one of our four full time Instructors. You will be flying one of our C42 aircraft which is a twin seat side by side primary training aircraft. 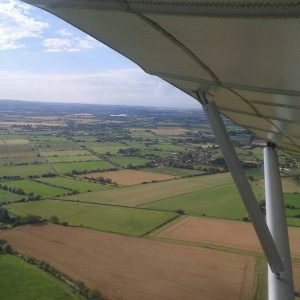 A course based on minimum requirements, which includes 25 hours flying with all pre-flight and post-flight briefings, 5 hours ground school, theory exams and the basic equipment needed to obtain a NPPL Microlight Licence. Please note additional hours may need to be purchased to reach Licence standard. Allow 3-4 weeks for this course (5 days a week intensive) or it may be taken in small blocks or on an hourly basis. You will be flying one of our C42 aircraft which is a twin seat side by side primary training aircraft and will be in the safe hands of one of our four full time Instructors. We are a long established flight training operation with 27 years experience and over 700 students trained safely. With practical flying, theory, examinations and Radio (course and exam) all offered in one location. Up to five aircraft available from the C42 to the advanced Eurofox - and even a Group A Cessna for NPPL SSEA conversions. Clench Common is an ideal airfield for training with multiple runways. Shares are available in aircraft. Courses and lessons are available throughout the whole year.